Why I Became an Atheist: A Former Preacher Rejects Christianity - Tolle Lege!. I really didn't find this book very edifying. I don't think I came across anything that I didn't already know. My rule of thumb, if you're going to write a 30 plus hour book, tell me things I don't already know. The bible was created by man, it has really weird stuff in it, superstition is superstition no matter when, a God that punishes his Son for the sin that a talking snake tricked a man into, and Zombies roaming Jerusalem it's all too impossible to believe. But, the one thing I don't want to have to do is listen to hours of Bible quotes and using the myth believers' sources in order to refute the myth believers. I just refute it by ignoring a special pleading by anyone who thinks their Book is special and offer no proof for that whatsoever. 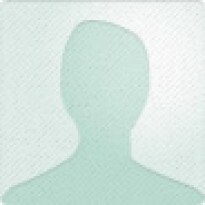 I just recently read Spinoza's "Tractatus" (it's available for free at LibriVox). One of the arguments this author (Loftus) made against Christianity is that Jesus invokes Beelzebub (the devil) in his argument against the Pharisees when they claim that Jesus is in league with the devil, and Jesus responds "that he can't be of the devil since a house can't stand divided against itself". Spinoza makes the point that those critics who claim that Jesus is accepting the reality of the devil miss the point of the argument. Jesus is only giving a proof by contradiction (or as this author, Loftus, says brilliantly earlier in the book, "opposites can't happen"). Look Spinoza made that point 350 years earlier can't Loftus at least acknowledge that in his discussion. I really hate wasting my time in inside baseball or in this case inside Bible discussion points. All one has to do is listen to a clever Jesuit (who actually I love listening to) or a clever Orthodox Rabbi to know that if you assume their starting points you won't be able to win the arguments on points. It's books like this one that enable Jehovah Witnesses to argue their absurd points and to win converts. I want to clarify. 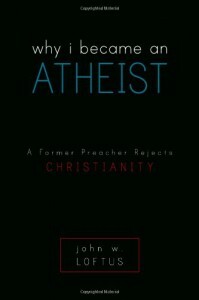 This book is not horrible, but it's really using the wrong approach to defend atheism (in my opinion). There is actually almost no science in this book whatsoever. I only mention that because the one book that liberated me from religious thought more than any other was "The 4% Universe". It opened my mind and led to hundreds of other science books and than ultimately philosophy and theology books. (I would recommend learn the science before delving into religion). Logic can only take you so far. I'll give an example outside of the scope of this book, but relevant to why I didn't like this book. Quantum physics is characterized most succinctly by three statements, 1) at the most fundamental level particles are characterized as waves and particles simultaneously (wave particle duality), 2) cause and effect break down at the quantum level (that darn cat! ), and 3) superposition (particles are everywhere and no where at the same time). Each of these are fundamental violations of one of the three rules of logic but we still accept quantum physics to be true. Logical inconsistency by itself is not enough to throw out all of physics (nor should it be). The author is trying to show that logical inconsistency by itself is enough to throw out a Christians worldview, but, perhaps all ontological foundations lead to contradictions. The one book that's mentioned more often by the books I read than any other except for the Bible is Galileo's "Dialogs Concerning Two Chief World Systems". I just recently read it and it seems to me that most of the authors who cite it (including this author) did not read it with as much diligence as I did. They seem to not really understand it and I would recommend any one should read it and not rely on misleading summaries. The author quotes Kant's "Critique of Pure Reason" which I've just recently listened to through audible. Kant does a much more effected job at defending atheism by his antinomies than this book does. In the end, Kant appeals to the moral within man for his proof of God's existence. Look, authors of Atheism books, expect your listeners to have read the books you are citing, because some of us really, really want to understand. Give us something worth knowing beyond the superficial distractions that fill most of what permeates the easily accessible media or popular books! Overall, I would recommend Bart Ehrman's many fine but detailed lectures or books on many of the topics which were not covered nearly as well in this book. I don't really dislike this author and he probably wrote a decent book for somebody who cares about inside Bible arguments, but in the future I hope the author learns it's okay to teach us things that are complicated and not to be afraid to talk above us. I want to learn, and the Bible offers me almost nothing (I really enjoy Ecclesiastes and therefore it can teach me something more than nothing).